Jeanene R. Sipos, 82, of Yorkville, passed away Tuesday March 26, 2019 at her home, surrounded by her loving family. She was born June 2, 1936 in Big Rock, IL the daughter of the late Russell and (Fern Williams) Boyce. Jeanene attended Copley School of Nursing in Aurora IL, graduated in 1957. She was united in marriage to Michael "Tom" Sipos and lived in Aurora until moving to Saint Charles, Il in 1982, and just recently she moved to Yorkville, IL. 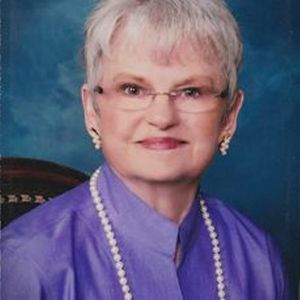 Jeanene is survived by her two children; Jan (Eugene) Kinsel of Yorkville, IL and Doug (Leigh Ann) Sipos of Knoxville, TN; her four granddaughters, Amy Kinsel, Molly Kinsel, Rachel Kinsel, Bailey Sipos; her grandson Michael Sipos; her sister, Lonna (Leland) Moellering of Dyer, IN and several nieces and nephews. In addition to her parents she was preceded in death by her husband Michael "Tom" Sipos; her sister Charlene Davis. Funeral services will be held Sunday 3 p.m. March 31, 2019 at The Healy Chapel, 370 division Dr., Sugar Grove, IL 60554. Visitation will be held from 1 p.m. until the time of service. Private interment will take place at Lincoln Memorial Park. Donations in Jeanene's may be made to the Big Rock Congregational United Church of Christ. For further information please call (630) 466-1330 or visit our website at www.healychapel.com to sign the online guestbook. Add your thoughts, prayers or a condolence to Jeanene's guestbook.